Classic bedroom , bed with 2 commode , dresser , drawers chest High quality materials , solid and beech wood , available with different colors. Made of solid thailand oakwood with some mettalic touch. Bed with S panel Headboard Casegoods with Hidden drawer. Short on time? 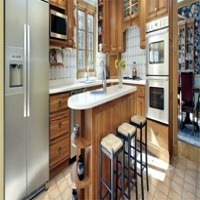 Let bedroom-furnitures sellers contact you. Bedroom furniture High quality, comfortable design, low price, standard export packing, large quantity can be loaded inside container. Shandong MPG Clock Manufacturing Ltd.
Natural oak wood & veneer. Mdf pannels. European accesories. Color brown & biege. Standard sea shipping packing. 1.2m bed 1330*2075*1000mm 3pkg 0.24m3 37.9kg 2-door wardrobe 800*580*1960mm 2pkg 0.18m3 74.8kg One-door wardrobe 430*365*1960mm 2pkg 0.11m3 67kg Computer desk 1200*530*1969mm 3pkg 0.17m3 61.7kg. 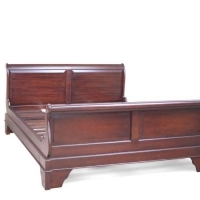 We offer to sell wooden bed from solid wood,available other color,for more details about the product,please feel free to contact us. Foshan Huanghao Furniture Co., Ltd.
Full set of furniture including: 1 1.9m¡á1.2m bed, 1 night stand, 1 two-door wardrob, 1 bookcase, 1 rotary chair. Carton, complete knock down.